OK, so it’s Drake’s Second Friday this month. Look, man, we’ve been doing these things since Drake’s co-owner Roy was still out growin’ grapes in Bakersfield, and sometimes the unexpected happens- like First Friday occurring during a holiday weekend. Since we figured many of you would still be out of town or, considering it was New Year’s weekend, simply unmotivated to drink much of anything but Gatorade (we don’t judge), we pushed it back a week. So, yes, loyal Drakers, this Friday, Jan 9, from 4pm-8pm is First Friday, no matter what the calendar says. This month, we’ll be supporting the Arroyo High School Boosters, who are working endlessly to keep high school sports a robust option for teens to fill their free time with. Kenny’s Heart & Soul and Grilled Cheez Guy will be on hand to cook up your dinner (and provide a bit of ambient heat). For full First Friday details, check out the First Friday page on our website. The Barrel House will be open for normal service from noon to 4pm, and then from 4pm-6pm for package/to-go sales only (bottles, growlers, kegs, schwag). What: The release of Drake’s most sought after seasonals, Hopocalypse Double IPA, Black Label Hopocalypse Triple IPA, Post-Hopocalypse Session IPA, and one helluva party. Scientists (all of them) have determined that a green comet-like body is headed directly for earth, predicted to make landfall in San Leandro on Jan 31st. Upon impact, precisely at 10am PST, experts speculate a green cloud of hop matter will engulf the area and infuse the beers a impact point (exactly at Drake’s Brewery) with ludicrous and irresistible levels of citrusy, tropical, dank hop flavors and aromas. Experts suggest that when consumed these “hops” are known to cause a phenomenon known as “alphahumulophelia” commonly dubbed “hop mania.” Hop-maniacs can be recognized by their single-minded need for irresponsible levels of hops in malt beverages and their inexplicable aversion to all things bland, boring, and status quo. At this point the impact appears unavoidable, and all in California and parts of Nevada face an extreme probability of developing hop-mania. You’re welcome to hide in the bunker with a stash of light lager and soggy saltines, but we invite you to join us and embrace the Hopocalypse, but to do so, you’ll need a plan. 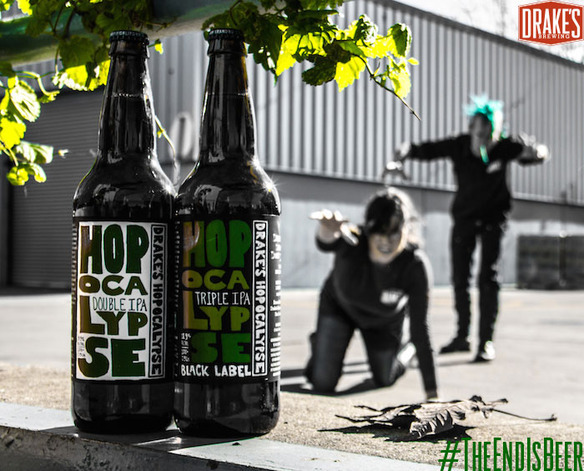 So, Hopocalypticos, come up with a plan, and show us what you got via Facebook, Twitter, and/or Instagram, using the hashtag #TheEndIsBeer. During the month of February, we’ll select one winner each week with the best plan, to be named leaders of the Hopocalypse and among humanity’s best chances for survival. Winners will receive their own Official Drake’s Hopocalypse Survival Kit and automatically be entered to win a trip to the brewery for day of brewing and beer fun with the Drake’s crew. 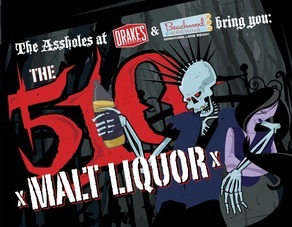 For more information on the contest or the release event, visit www.endisbeer.com. Good luck, friends, for it seems… The End is Beer. One of the traditions of SF Beer Week has been this brunch, hosted by our friends at 21st Amendment in the City (even if we disagree on baseball teams). So come join in the fun, along with Drake’s owner John Martin, as he’ll be on hand to give you the lowdown on what’s what at Drake’s. Sour Sunday at Jupiter & Triple Rock- Sunday 2/8- 11:30-5pm- Stop by Jupiterto chat with our Barrel Program Manager Travis and try a bevy of Drake’s sours as well as a treasure trove of local and domestic sour/wild ales, then head up to Triple Rock for some international sour whales that need time in your life too. 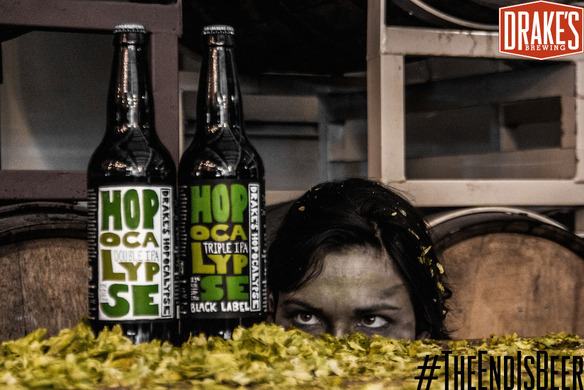 Join our crew including Brewmaster John Gillooly and owner John Martin as they educate you on their favorite means of surviving the Hopocalypse with a lineup of our beers including the Hopocalypse trio and food pairings. 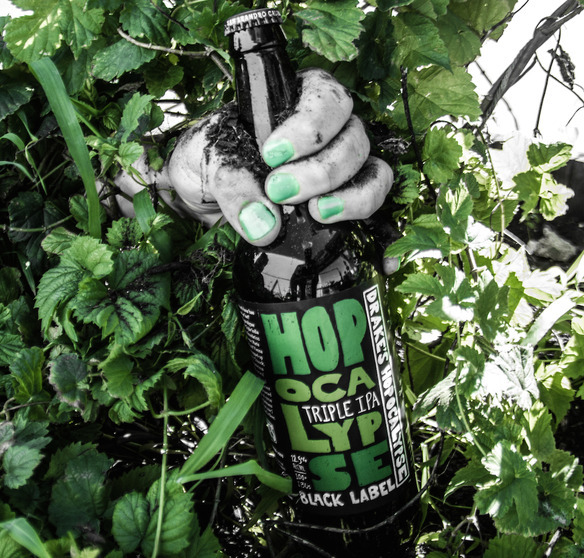 Hop zombie attire not required but absolutely encouraged. Lunch Special at Triple Rock last year was such a hit (and a mercifully early beer event, as well) we’re thinking of making this a permanent lunch date during SF Beer Week. Alongside your actual soup, salad, and sandwich will be a flight of Faction’s Hop Soup, Triple Rock’s Hop Salad, and Drake’s very own Hop Sandwich IPAs. 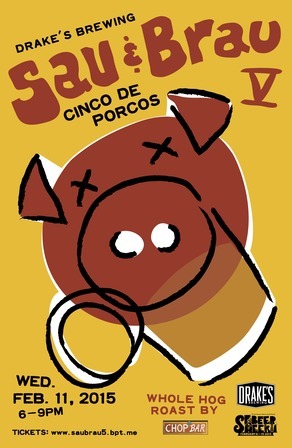 Through the years, Sau & Brau has become one of the marquee events of SF Beer Week, always selling out, and drawing people in from all over the West to get their hands on our pork. 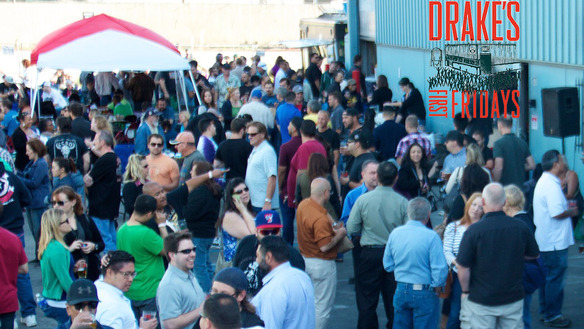 All 25 taps will be flowing with all kinds of specialties, of course, as well as a full pork dinner with all the sides provided by Oakland’sChop Bar, as well as dessert by Nosh This, creator of Bacon Crack (we get each other). Throw in some live music, good friends, and nearly the entire Drake’s staff on hand to talk beer and brewing, and you have one helluva great night. Bask in the glory of friendship with Brewmaster John Gillooly and Henhouse Owner (and former Drake’s brewer) Collin McDonnell and learn about our collaboration brew “Rye Induced Fowl Play,” and a lineup of delicious Drake’s and Henhouse brews each paired with a different dish in the Mission. 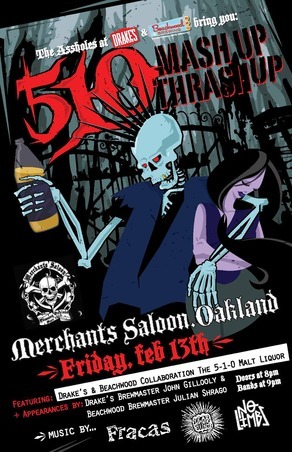 Friday the 13th seemed like a good time to throw down with Beachwood Brewmaster Julian Shrago and our collaboration “The 5-1-0 Malt Liquor” with a metal-as-f&*% show in Oakland. Music from local bands No Limbs, Year of the Fist (featuring Drake’s Firkin Master Hal McConnellogue), and Fracas(with Drake’s Warehouse Manager Ian Carpenter). 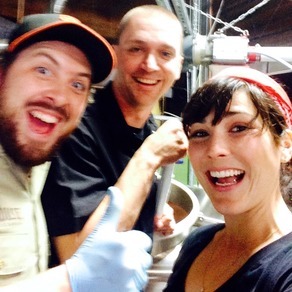 Brewmasters John Gillooly and Julian will also be taking the stage to teach you about their beers and collaboration. $7 at the door. Doors at 8pm. Bands at 9pm. This started as one of our smaller events last year, but it became very clear that we’d have to expand it for this year. We’re happy to have Kirstin Jackson, author of It’s Not You, It’s Brie coming in again to guide the pairing, alongside one of our brewers to guide you through our beers. Tickets will be $30 and include 5 cheese pairings with Drake’s exclusive specialty and barrel-aged beers. Join the Drake’s crew including Liz Sale and learn how to say a proper farewell to beer week with Brunch paired with Drake’s beers. The official goodbye to beer week party is happening again in Berkeley, and we will be there too with plenty of beers. If that list wasn’t enough for you, we will also be out on the town all over the place this beer week. Check in on the full schedule at sfbeerweek.org and come drink some beer with us this February. First off, we would like to direct your attention to the almost comical list of casks we have just waiting for their time to shine. Our firkin master Hal has been dutifully stuffing firkins & hiding them away until the time is right… thankfully, with SF Beer Week coming up, the time is pretty damn right, so keep an eye out for those firkins (and more, no doubt) at Drake’s Barrel House throughout the week, as well as at select Drake’s- and firkin-themed events throughout the Bay all Beer Week. Those firkins will make impact at DBH, but we’re not just puttin’ our feet up until then. In fact, we even built you a kitchen. That’s right, Brew! Kitchen is now open every day. What the hell is Brew! Kitchen? It’s the Barrel House’s new in-house kitchen, whipping up simple, hearty pub grub like grilled cheese & sausages to go alongside your beer. Nothin’ too fancy… just a good, honest bratwurst with all the fixins. You’ll always be able to find the DBH Food Schedule right here, and the Brew! Kitchen menu right here. By the way, the more eagle- (or drake-) eyed among you might recognize that Brew! 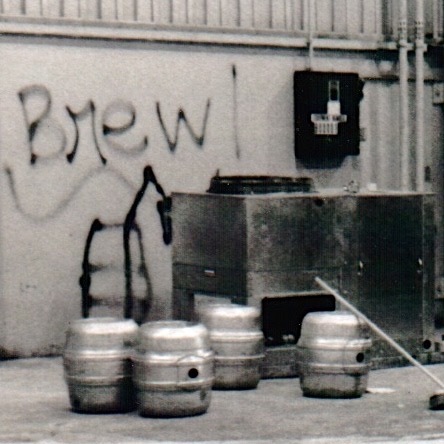 Kitchen logo as Drake’s Brewing founder Roger Lind’s chicken scratch on the brewhouse wall that’d been hidden by the brewery cold box but was uncovered some years later. We’ve been San Leandro hometown brewery for a quarter-century and counting, and it’s always fun to give a nod to our roots as we continue growing year after year. Why can’t we be friends? Well, we are, actually. Specifically this month with the good people at HenHouse in Petaluma, Monkey Paw in San Diego, andBeachwood in Long Beach, and you’ll get to drink the results of those friendships all throughout SF Beer Week. First up- Rye-Induced Fowl Play, made with HenHouse Brewing. We’re gonna call this a dunkeldoppelryezenbock, because the guy who defines beer styles in America stole a cab from us once. In non-SAT words, that’d be a dark wheat bock with rye, aged in rye whiskey barrels. Like last year, we headed up to Petaluma in October to brew the barrel-aged batch, and the HenHouse guys will be here tomorrow to brew the fresh batch we’ll blend that into. Secondly, in November we sent Travis down to San Diego for the SD Beer Week Collaboration Stumble South Saison, with Monkey Paw brewmaster Cosimo Sorrentino, so we thought we’d return the invitation with another brew. 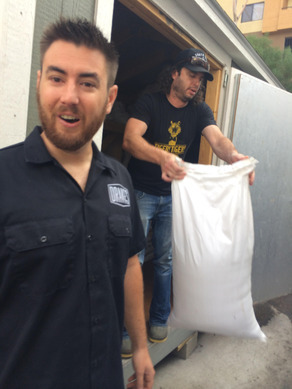 This time Cosimo and John Gillooly are brewing up Drake’s/Monkey Paw collab “Migrating Monkey”, a massive (10+%ABV) double IPAfeaturing a light-as-we-can-get-it-San-Diego-style grist bill, puffed Jasmine rice for aromatics, and ultra-citrusy El Dorado and Sorachi Ace hops. And finally, The 5-1-0 Malt Liquor, made withBeachwood Brewing, which will drop at a metal show in Oakland on Friday the Thirteenth. You heard us. Brewmasters John Gillooly and Julian Schrago have decided to rescue Malt Liquor from its tawdry present and restore it to its former glory (remember- malt liquor started its life as “Super Premium” beer before Lando made it a punchline). Classic American 6-row malt is supplemented with floor malted Bohemian Pilsner malt, with a touch of corn for dryness. Extremely clean Glacier hops are used exclusively for bitterness, and it is fermented slow and low with Mexican lager yeast. Keep your eyes glued to the overall SF Beer Week schedule, as well as that of your favorite beer joints, to find out when & where to get to put your grubby hands on the fruits of our friendly labors. Some of you might remember “Tree Beer,” a beer we made with a then-nascent Faction Brewing. 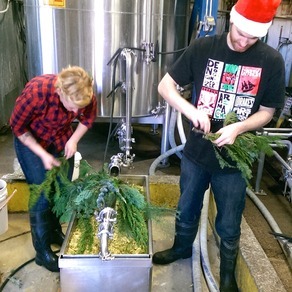 It was one of those off-the-wall one-offs, but you Tree Beer fans have been making yourselves heard ever since, so we have taken it uponourselves to make your wishes come true, by brewing up Tree Beer’s sequel, Needs More Tree IPA. 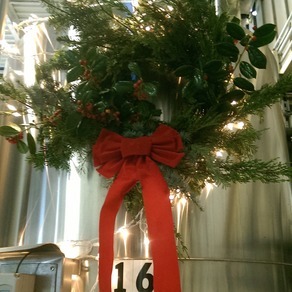 Brewed the day after Christmas, this solo Drake’s brew day left the brewhouse smelling especially Christmasy, with pristine spruce tips, juniper berries, and whole Chinook hops in our hopback, as well as foraged pine branchescourtesy Berkeley’s own Foxglove Florals. A nice, drinkable ale with an interesting interplay between the spruce and hop elements. Needs More Tree IPA will debut at First Friday (TOMORROW) and will continue on at the DBH thereafter for you tree drinking pleasure.